 The Henry T. Mudd Prize was created to honor the memory of Henry T. Mudd, son of Harvey and Mildred Mudd and one of the founders of Harvey Mudd College. Henry Mudd had a deep interest and confidence in the people of this College: the faculty, staff and students. He served the College in many ways, through the dedication of his financial resources, his time and his leadership. Winners of the Henry T. Mudd Prize exemplify the generosity and spirit that he devoted to Harvey Mudd College. While other awards honor deserving students, the Henry T. Mudd Prize was established to honor the outstanding service contributions of faculty and staff of the College. That service may manifest itself in superior teaching, leadership in curriculum development or research supervision, particularly effective administrative efforts or outcomes or other extraordinary activities that have significantly benefited the College. The prize is $6,000, with one-half paid directly to the winner and the other half given to the benefit of the College, per the wishes of the recipient. All faculty and staff are eligible to receive the Henry T. Mudd Prize except for the individuals occupying the positions of president, dean of the faculty or chair of the faculty during the time that they serve in those positions. Past recipients become eligible to receive the prize again after an interval of three years. The selection committee consists of the president, the dean of faculty, the chair of the faculty, the alumni trustee representative from the Alumni Association Board of Governors, the president of ASHMC and the immediate past recipient of the Henry T. Mudd prize. The award is made at commencement and thus provides an opportunity during that ceremony for a brief reflection on the history of the College and the importance of its founders and benefactors. Recipients of the award must be nominated to be considered. Nominations will remain active and considered by the committee for four years.